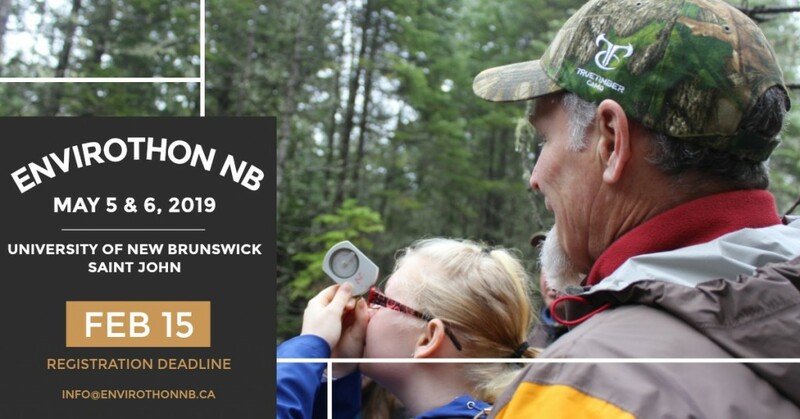 Interested in helping out at this year’s Envirothon NB competition? Contact becky.geneau@scienceeast.nb.ca if you can volunteer a half day, full day, or two days on May 5 or 6, 2019! We are looking for help during registration, at the field testing site, sequestering team monitor, and various task during the team oral presentations.